It’s Raining Cookie Cake Slices this April! Introducing the Great American Cookies April Tuesday’s Special. Every Tuesday, get two Cookie Cake slices for just $5. Great American Cookies April Tuesday’s Special is good on Tuesdays only (April 9, 16, 23 & 30). See store for details. 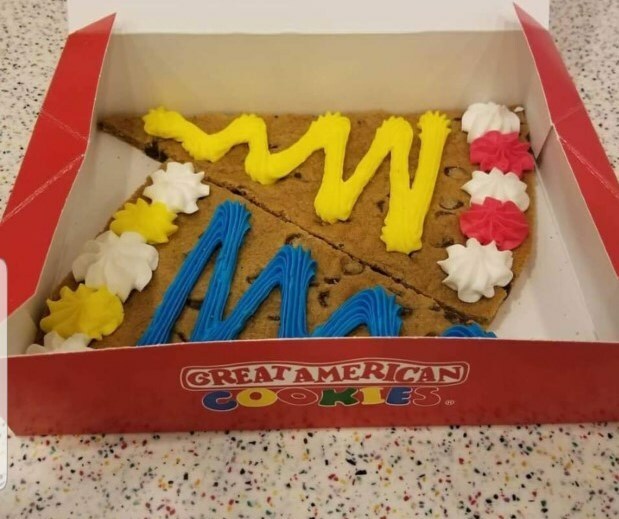 Founded on the strength of a generations-old family recipe, Great American Cookies set the standard for gourmet Cookie sales in shopping centers nationwide. Our first store opened in 1977 in Atlanta, and we’ve been proudly offering freshly baked Cookies, Brownies and Cookie Cakes ever since.